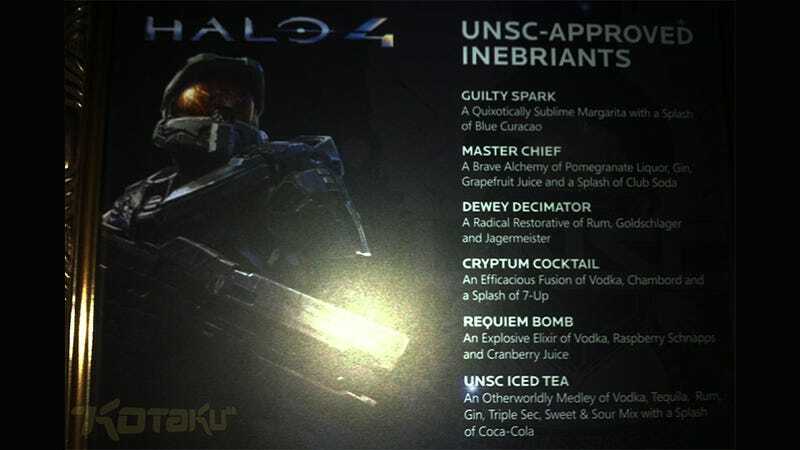 These were the drinks that were being served at a Halo 4 event in L.A. tonight. This themed drink menu is sort of a thing at official video game parties. Mix and drink them at your own risk.